All Trinus International tours, river cruises, expedition cruises, and adventure trips. Find the best guided trips and expert planned vacation and holiday packages. 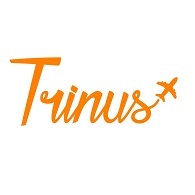 Average rating of 0.0 for all Trinus International trips. Visit the archaeological area of Eraclea Minoa. Visit the Scala dei Turchi. Visit the beautiful Cala Bianca, Cala Rossa and Grotta dei Colombi. Visit the Faraglioni of Scopello. Transfer to the De Gregorio Cellars for a guided tour of the vineyards and cellars. Excursions from Sciacca with a beautiful wooden boat of 14 meters with a toilet on board, ladder / platform to comfortably swim offshore, covered area and sunbathing area.